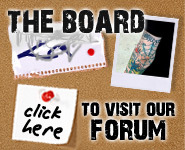 We now offer banner advertising on every page of UK Tattoo Studios. The site currently receives over 6,000 unique visitors. It’s the most popular tattoo site in the UK.